Kinorb has a population between 10,000 and 10 million sophonts, lacking the industrial base to be completely self-supporting. It is a member of Third Imperium in the Rhylanor Subsector of Spinward Marches Sector and in the Domain of Deneb. Kinorb, as a member world of the Third Imperium, holds the estate of an Imperial knight, a member of the Imperial Nobility charged with overseeing the world. Kinorb has a population between 10,000 and 10 million sophonts, lacking the industrial base to be completely self-supporting. It is a member of Regency of Deneb in the Rhylanor Subsector of Spinward Marches Sector. 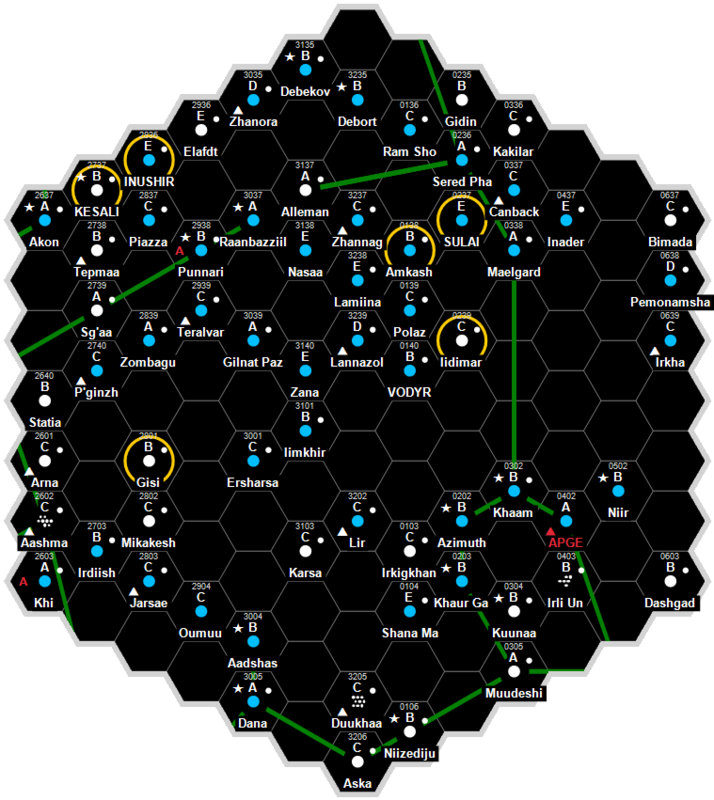 Note: There is another Kinorb in the Regina Subsector of the Spinward Marches. Kinorb is the moon of a gas giant orbiting at the very edge of the primary's life zone. The mainworld's surface water is mainly locked up in ice, resulting in an extremely dry atmosphere than can cause temporary respiratory difficulties. Diameter: 4,108 miles (6,600 km). Atmosphere: Thin oxygen-nitrogen, “tainted” by extreme dryness. Kinorb is ruled by a highly selective religious order named the Sacred Brotherhood of Kinorb. Kinorb, as a member world of the Third Imperium has a member of the Imperial Nobility overseeing the world. Martin Dougherty, Neil Frier. Behind the Claw (Steve Jackson Games, 1998), 105. This page was last modified on 4 June 2016, at 08:46.